Welcome to Kia Stinger Forum, is this your first visit? Click the "Create Account" button now to join. What Did You Do With Your Stinger Today? 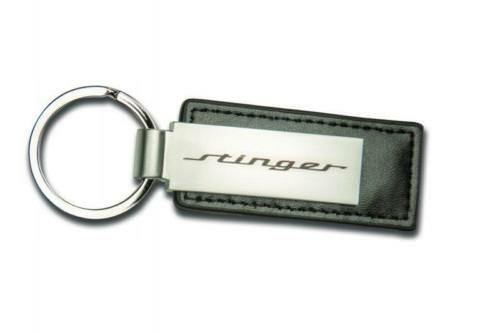 Thread: What Did You Do With Your Stinger Today? Guest-only advertisement. Register or Log In now! Went down to the dealer to pick up a set of all weather mats. Are you doing the front bumper and half-hood? Installed my new badges front and rear. An automotive trim plastic tool set along with wedges came in handy. Goo Gone and plastic razor blades are a necessity. Pro tip: mark out the center line and edge of the OEM badge on painters tape with a pencil and cover it with a second layer and expose it only when ready to place the new badge. There is no indent in the trunk or bumper cover to guide the placement and this helps a tonne. 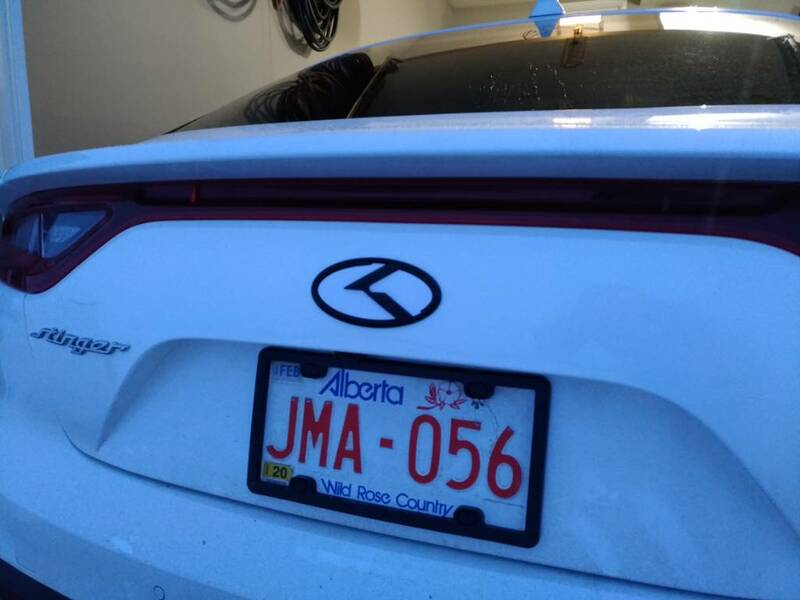 @brandon.mol do the Canadian models not have the holes underneath the emblem in the rear? That turned out great. Yes, there are holes for the guide posts both front and rear. It would be nice if the new badges had guide posts too since there is no reference for placement if you don't make some marks on tape. Trying to find some nice overlays for the Kia emblem that's not the K design. I find those outdated. Any luck on that search? « How does your Stinger handle in the snow? All times are GMT -5. The time now is 01:39 PM. 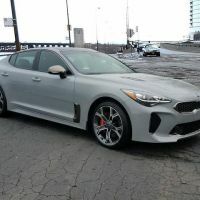 Kia Stinger Forum is the premier Kia Stinger and Kia Stinger GT community. We offer one of the largest collection of Kia Stinger and Kia Stinger GT related news, gallery and technical articles. Share your favorite Kia Stinger photos as well as engage in discussions with fellow Kia Stinger owners on our message board. KiaStinger.org remains independent and is not affiliated with, sponsored by, or endorsed by Kia. All use of Kia's trademarks, brands, and logos, including all Kia marks displayed here, is purely referential, and such marks are the property of Kia. Copyright KiaStinger.org. All Rights Reserved.